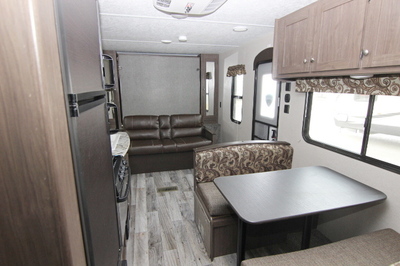 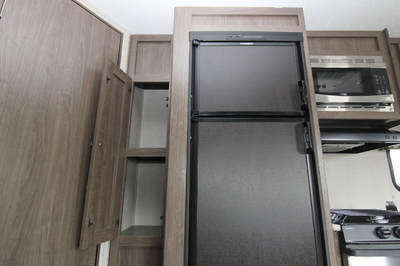 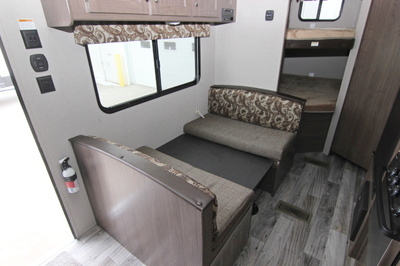 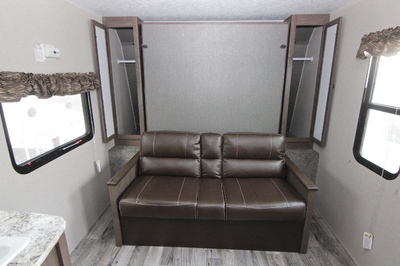 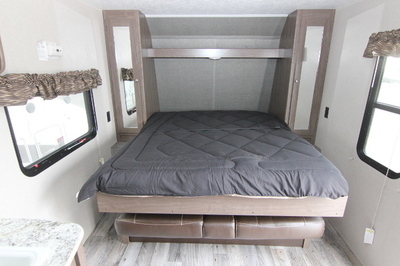 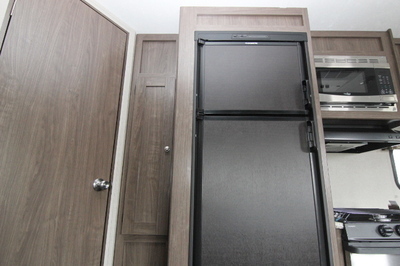 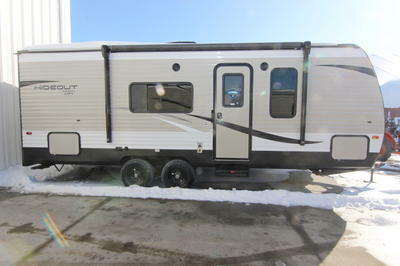 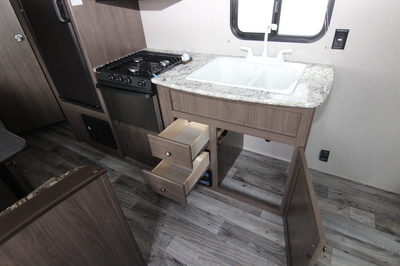 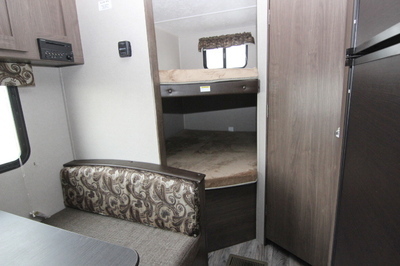 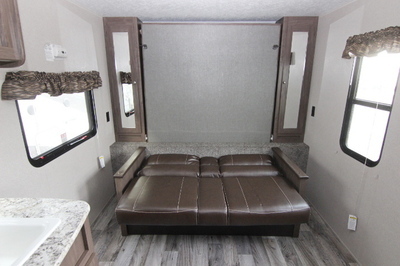 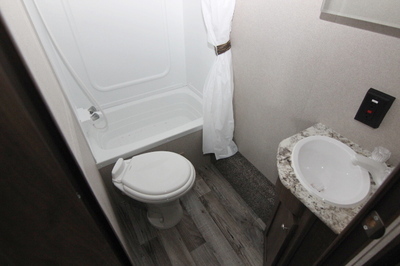 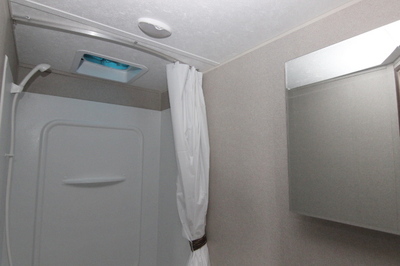 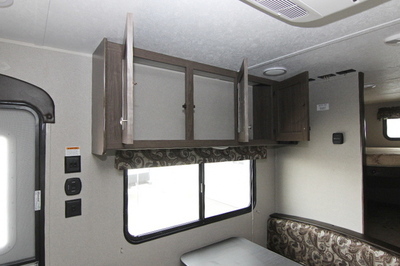 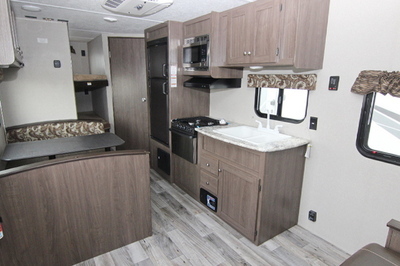 Packages and Upgrades Included with this unit:- Booth Dinette, Rear Bunks, Murphy Bed/Sofa, Comfort Package, Electric Awning, 4 Stabilizer Jacks, Central Vacuum, 14" Spare Tire. 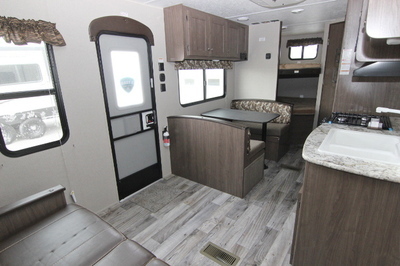 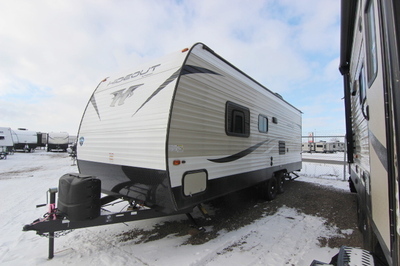 Hideout LHS Comfort Package:- Diamond Plate Rock Guard, 2 Interior Speakers, 2 Exterior All Weather Speakers, Radius Entry Door with Strut, AM/FM/MP3/DVD Bluetooth Stereo, Champagne Metal with Upgraded Graphics Package, Shower/Tub Surround, LED Lighted Power Awning. 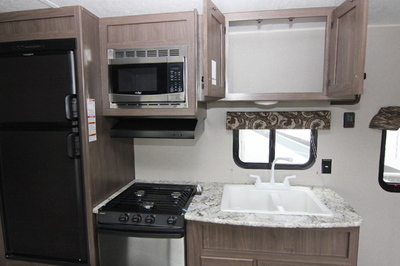 Interior Standard Features:- Range Hood w/Light and Exhaust Fan, Stainless Steel 3 Burner Range w/Oven, 6 Cu Ft Gas/Electric Refrigerator, Black Fridge Insert, Stainless Steel Microwave, High Rise Faucet, 60/40 Kitchen Sink, Cable TV Hookup w/Booster,Reversible Bedspread, Porcelain Foot Flush Toilet, Bathroom Exhaust Fan, 81”Interior Ceiling Height, Quick Recovery 6 Gallon Gas DSI Water Heater, 13,500 BTU Ducted Air w/Thermostat, 30,000 BTU Furnace, 12 Volt 55 AMP Converter. 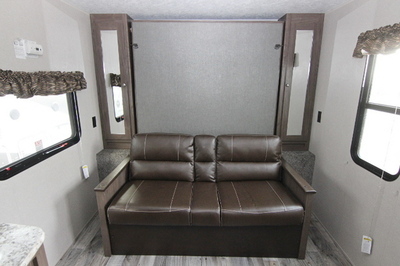 Exterior Standard Features:- Mega Pass Thru Storage Compartment, Easy Lube Axles, E-Coated Corrosion Resistant Wheels, Seamless One Piece TPO Roof Membrane, Fully Walkable Roof,Tinted Safety Glass Windows, Digital TV Antenna, Extended Long Rain Gutters,Furrion Backup Camera/Observation Prep.